With an affordable starting MSRP of just $16,200, the 2018 Kia Soul offers interior and exterior technology features that make life on the road easier, from a premium touchscreen to smartphone app integration and beyond. 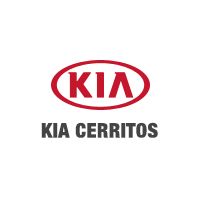 Check it out here, and then make your way to your Orange County Kia dealership for a test drive! Every version of the Soul comes standard with a 7-inch high-resolution full-color UVO touchscreen interface, allowing you to access a wide range of multimedia features. The 2018 Kia Soul is offered with standard Apple CarPlay™ and Android Auto™, giving you easy and intuitive access to all your favorite smartphone apps. Get where you’re going more easily when you opt for the available navigation system, which comes with turn-by-turn directions and visual cues that make it easier to see your next turn. Connect to your car through your smartphone in order to check vehicle diagnostics, access roadside assistance, and much more! In their review, U.S. News ranked the Kia Soul #1 among compact cars, and you can find it on sale near Carson right now along with a variety of Kia accessories at Kia of Cerritos, your Los Angeles area Kia dealer where you’ll have lots of vehicles to pick from and top dollar on trade-ins! While you’re here, check out our guide to the Kia Soul mpg numbers, as well as our guide on how to connect to Apple CarPlay.